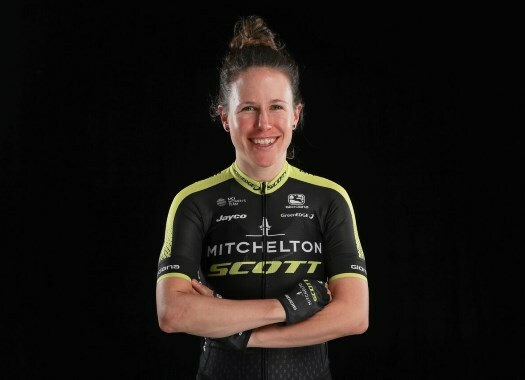 Amanda Spratt (Mitchelton-Scott) has claimed the victory at the sixth stage of the Giro Rosa. The rider crossed the mountain finish line on her own after a late attack. The 114.1-kilometre stage featured a mountain finish in Gerola Alta. The start of the stage was very moved and tense because a lot of riders wanted to be in a breakaway to arrive with an advantage to the climb. Despite the many attempts of a breakaway of the day, none was successful and a compact peloton arrived at the bottom of the climb. The pack lost riders fast and with seven kilometres to go, Annemiek Van Vleuten (Mitchelton-Scott) attacked and took with her teammate Amanda Spratt, Ashleigh Moolman-Pasio (Cervelo-Bigla), Kasia Niewiadoma (Canyon-SRAM) and Mavi Garcia (Movistar), among others. At around five kilometres from the end, Spratt attacked and soon created a big gap with the rest of the group and crossed the finish line 29 seconds ahead of van Vleuten and beat Moolman-Pasio by 32 seconds. This gap was big enough for the Australian to take the Pink Jersey. "It is a little bit surreal to be in the pink jersey, we wanted to see today if we had an opportunity to take time," said Spratt after the stage. "It worked out well, there were quite a few attacks and it was hard and Annemiek really set me up for the attack when I went and it worked out perfectly. "We actually came and rode this climb a couple of weeks ago and I think that really paid off. We knew when was good to attack, we knew it would get steeper and we just had to stay patient until then. I went into the big ring because I knew it flattened off after and I am so happy to take the jersey."